Nathan Ricks of Nu Skin is a leader of leaders, with an amazing determination and commitment in anything he puts his mind to. He has incredible willpower and a reputation that always precedes him. Nathan is full of passion and conviction that you can easily sense and feel if you happen to be close to him. Nathan Ricks is today’s Nu Skin Network marketing champion that I am so humbled to cover on my blog today! Mr. Ricks is a business catalyst that shaped Nu Skin and he is responsible for the success and achievements Nu Skin has attained so far. Nathan is a very compelling and positively contagious Nu skin Multi-millionaire, to say the least. In fact, you feel that you can conquer the world whenever you are close to him! Nathan is also a true symbol of wealth and lifestyle. He can achieve anything he puts his mind to and has that rare ability of moving people towards his vision, in the direction he wants, and under whatever circumstances. I personally find his business and mentoring ability motivating and inspiring. 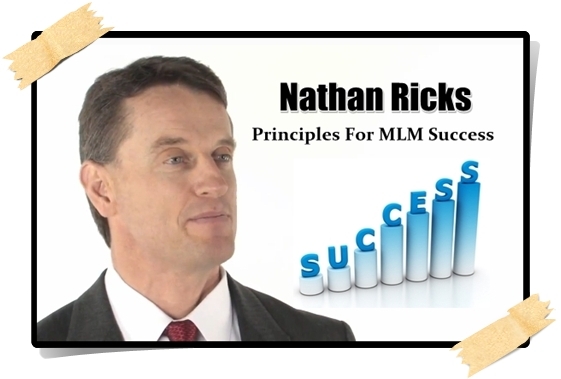 Nathan Ricks is surely what every newbie needs to be successful in network marketing. Once you learn more, you will definitely agree with me! Have you ever read the story of his journey to the millionaire’s status he has today? Have you ever watched his MLM mentorship videos? If not, then read on for an inspiration today! Mr. Nathan Ricks is not only a highly sought after MLM leader but also a highly feared and respected multi-millionaire. Everything he touches turns into a million dollars, my friends! 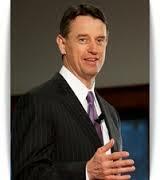 Nathan Ricks has so far made over $50 million dollars, ONLY from Nu Skin since 1989. He currently makes a passive income of more than $210,000 per month and over $4,000,000 dollars every year. Note that I have not touched on the various Nu Skin bonuses and earnings from his commercial real estate businesses, where he is makes a killing! Nathan Ricks has been married to Joyce Ricks for over thirty years now; he is also a father of four daughters and a network marketing genius. Nathan used to live in Santa Clara, Utah, before relocating to the Salt Lake City, Utah. Mr. Ricks is a professional businessman, with a Bachelor of Science degree in Business Administration, from the University of Phoenix in the United States of America. Mr. Nathan Ricks also is in the real estate business. He owned a real estate brokerage firm in Salt Lake, Utah, before venturing in MLM business. He is currently a super successful real estate investor with prestigious commercial buildings in Utah and other parts of the US. Nathan Ricks has so far earned an excess of over $50 million US dollars from Nu Skin. Nathan joined Nu Skin late but has become one of the most successful Nu Skin product distributor in the company’s history, right behind Betty Sung and Angela Liew & Ryan Ho. Nathan Ricks currently control more than 60% of the total Nu Skin revenue in the world. extra revenue of more than $6 billion US dollars in Nu Skin. A very big achievement in my opinion, isn’t it? Before he joined Nu Skin, Nathan was a vibrant real estate entrepreneur, who owned his brokerage company in Salt Lake City, Utah. Nathan Ricks also topped the sales associates for AT&T, making the company gain and maintain the biggest business accounts in Utah. This guy is a business Midas, huh? Nathan has achieved much success since starting his Nu Skin career in 1989. He set a new record in network marketing by creating an independent distributor force of over 100,000 people within his first two years in Nu Skin. Today, Nathan has a worldwide One Team Global sales organization that has more than 500,000 distributors in more than 52 countries in the world. One Team Global (OTG) generates revenue of more than $1 billion dollars every year. Nathan Ricks created the 7th largest Satellite broadcasting system in the world so as to deliver broadcasts training to his Nu Skin distributors, back in 1990s. He created the “Catching the Wave” sales video that has sold over 3 million copies. Nathan held an historical telephone call conference reaching out to 10,000 callers at a time in 1991. He also created “Right Place, Right Time, Right Now” audio series that sold more than 2 million copies in just 8 years. Nathan has also created “Real People” Video and “Health Report For the 90’s” video, both of which he has sold thousands of copies in the United States of America. Nathan Ricks has also been the man behind Nu Skin’s Success in the international markets. For instance, Nathan was very instrumental in the opening of Nu Skin Japan, where Nu Skin achieved the highest sales in their first year of operation in Japan, setting a new record of sales that no foreign company has ever reached. In fact, Nu Skin generated revenue worth $135 million USD in their first year in Japan! Nathan has also reinvested his Nu skin network marketing millions into Real Estate. As we speak, he is one of the most successful real estate in investors in Utah with very prestigious commercial buildings in the state. Nathan Ricks is currently the owner and Partner of the Canyon Park Technology Center based in Orem, Utah. The Canyon Park building is one of the largest multiple tenant commercial complexes in the United States of America. The commercial building covers more than 1,000,000 square feet space. Nathan has other breathtaking commercial buildings that have attracted large companies to Utah, including Microsoft. Today, Nathan Ricks is still an active participant in Nu Skin network marketing. He is still promoting the Nu Skin products and he is still devoted to their 2017 goal of achieving revenue worth $5 billion USD per year. Have I told you that Nathan is not just a multi-level millionaire but a very responsible and loving family man? Yes, he has achieved all this and is still able to raise his four children without any stress whatsoever! Well, without the normal stress of being a parent, that is! Nathan Ricks believes that you become an average of five people you share most of your time with. So hang out with the right company for you to be successful! Nathan Ricks states that duplication is a keyword that creates freedom in MLM business. When in multi-level marketing business, you should be able to stop at one point and ask yourself whether what you are doing can be duplicated. It is also important to always remember that the methods you use to enroll people into your multi-level marketing business are the same methods they will use to enroll others in their future businesses. Edification is not blatant on its face, but once you begin doing it in the MLM industry, you will discover that it is absolutely important. You will however be able to achieve a milestone in your business if you have the right concept of edification. Nathan Ricks’s MLM approach is crystal clear on this, it means speaking positively on anything you are speaking about or addressing. Always learn to follow those people who have financial interest in your guidance, coaching and advice; but always avoid anybody’s negative emotions from either within or outside your team. Nathan spent 99% of his time in recruiting members during his first 5 years in Nu Skin MLM and majority of his time on coaching and training. The remaining 1% is used for evaluation purposes. Nathan Ricks has been very successful with Nu Skin since he joined them in 1989. He is the world leader of leaders, and a breathtaking motivational speaker. He has in fact achieved everything that can possibly be achieved in Nu Skin enterprises and he is still going strong in his MLM business. For 18 years, he has been a Team Elite Executive in Nu Skin, a member of the $20 million dollar circle in Nu Skin, and an NTC Chief Ambassador. Nathan Ricks is a Nu Skin hero in every definition! He shaped Nu Skin in his early years and he is the man behind the company’s success today. For example, he pioneered the opening of Nu Skin branches to other parts of the World such as Japan; where Nu Skin set history by being the first foreign company to manage the highest number of product sales within their first year in the Japan market. Now, maybe you are wondering what this Nu Skin I am talking about today is! Then worry no more as here is a comprehensive analysis and discussion of NuSkin Network marketing Company. Nu Skin is an American MLM company, which manufactures and sells dietary supplements and personal care products. Nuskin was founded in early 1984 in Utah; Provo to be specific. The company was originally started in the United States of America, before opening its first international operation offices in 1990 in Canada. A year later, Nu Skin opened its second office in Hong Kong, in the Asian continent. The company was listed in the New York Stock Exchange for the first time in 1996. Nu Skin currently has a network of more than 1,000,000 individual product distributors in its 53 international markets. Nu Skin Network marketing company has, since its inception, locked horns with various governments, international regulatory bodies, individuals, and other multi-level marketing companies over various legal issues. In 1990, the FTC otherwise known as the Federal Trade Commission started an investigation on Nu Skin over its multi-level marketing activities. In 1992 Nu Skin reached a consensus with 5 states who had accused Nu Skin of overstating the incomes earned by its distributors and deceptive advertising. In 1994, Nu Skin paid $ 1 million and signed a decree that stopped the company from making unsubstantiated and deceptive claims about its products, following an investigation by the Federal Trade Commission (FTC). In 1997, Nu Skin enterprises paid another $1.5 million to the Federal Trade Commission for the unsubstantiated claims they made on its products when promoting them. 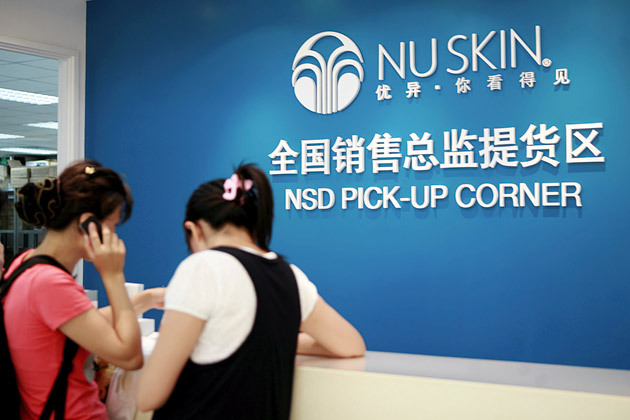 The Chinese government also showed some interest in entering into the legal battles with Nu Skin in 2014, following the People’s Daily newspaper publication that termed Nu Skin as a suspected pyramid scheme. Nu Skin CEO, M. Truman Hunt has however denied those allegations. Under the Nu Skin Pharmanex brand, the company has more than 200 products, mostly on personal care that are marketed as helping people feel and look younger. In 1990, the company invested in The Big Planet, an internet services MLM company. The New York Times criticized this investment claiming that Big Planet went on recruiting people in their business, while not having any technological background or expertise. One representative of the company reiterated by saying that, he believes people who have never touched a computer before, can make millions of money in their business. Nu Skin acquired Pharmanex dietary supplement company in 1996. A section of the proceeds of the company’s product lines are donated to the Nu Skin Force for Good Foundation. Nu Skin owns “BIoPhotonic” device that was originally developed by Pharmanex. The device was designed to measure carotenoid levels in the skin of humans. According to the Women’s Health Letter magazine, this device is an MLM scam as it was designed to lure unsuspecting individuals to buying more health supplements from Nu Skin. 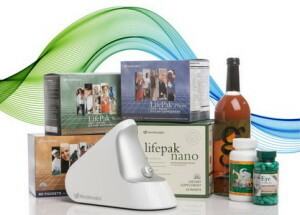 Nu Skin started working with LifeGen Technologies in 2009. LifeGen is a genomics Company that is situated in Madison, Wisconsin. Nu Skin bought the company in December, 2011. It is LifeGen’s genetic database that aided Nu Skin in the production of some of its products such as the ageLOC brand. Nu Skin is a public company that uses a multi-level marketing business model in its business. Each successive distributor is required to market the company’s products directly to their clients. The distributor can also recruit and train customers to be Nu Skin product distributors. Distributors make profit from the products they have sold at retail prices and also earn some commissions based on the performance of the distributors they have recruited and trained. Nu Skin says that it has a compensation plan that pays its product distributors about 43% of its product revenue. Nu Skin currently sponsors a number of sports teams since its inception in 1984. The company currently sponsors professional basketball teams such as the Utah Jazz Dancers. Nu Skin also sponsors the Brigham Young University athlete’s program and the Pravo based America’s Freedom Festival, which is one of the America’s largest Independence Day celebrations. Later in 1992, Nu Skin reached a settlement with 5 of these states but refuted of any wrongdoing. The company agreed to pay all the states’ investigative fees, revamp its promotional practices, and refund all the disgruntled distributors. However, the attorney general of Connecticut did not agree on this and sued Nu Skin for engaging in pyramid scheme activities. Nu Skin once again refuted the violation of any law claims but paid Connecticut a consumer protection fee of $85,000 as part of their agreement and settlement. The attorney general of Pennsylvania sued Nu skin in 1997 for allegedly operating a pyramid scheme through the QIQ connections. The Pennsylvania attorney general accused Nu Skin of managing distributors who marketed technology services that never existed. Nu Skin discontinued the QIQ as a result, and transferred all those distributors who had paid their subscription over to Big Planet, which is their other internet marketing technology company. The then president of Big Planet however downplayed the weight of that lawsuit claiming that those were a few enthusiastic distributors who have been overzealous in just a few of their marketing activities. Nu Skin was listed among America’s Top 100 trustworthy Companies on the Forbes Magazine until 2010. In 2012, Stanford University sent Nu Skin a cease and desist letter that was intended to stop Nu Skin from using the university’s name in its promotional materials. The university nullified the letter later after Nu Skin complained about this to the University of Stanford. The University in turn wrote an apology letter to the company claiming that the letter was written by their professor, Stuart Kim, PhD, who wanted his name to be removed from the promotional materials as he is no longer involved with any research in the Stanford University, not the partnership between the University and Nu Skin. It is also in 2012 that Citron Research released a report that stated that Nu Skin’s business model on the mainland of China, which was then the fastest direct selling market in the world, is an illegal pyramid scheme. Nu Skin dismissed all these claims and said that they do not have a plan of changing their model of business in China. It is that Nu Skin statement that led to the Chinese government announcing that it was going to investigate Nu Skin for being involved in a multi-level marketing scheme. This caused the Nu Skin’s stock to reduce drastically. Following this announcement and investigation, the Chinese Government announced that they are going to fine Nu Skin a total of $540,000 for false product claims and illegal sales of their products. ConsumerLab.com tested the Nu Skin’s Pharmanex LifePak Anti-Aging Supplement and reported that it failed their overall review by not indicating the total vitamin A in it, as per the requirements of FDA. In 2011, two businesses linked to the top management of Nu Skin made a contribution of $1,000,000 each to Mitt Romney’s US presidential bid, on their Restore Our Future initiative. In 2008, Jason Chaffetz, who worked as a professional spokesman for Nu Skin enterprises for 10 years since 1989, was elected a representative of the Utah 3rd congress district. Nu Skin has had their fair share of the news – both good and bad. But when you look at the lives that it has changed, it doesn’t appear to be all bad. Nathan Ricks has been a huge instrumental part of Nu Skin. In all honesty, it seems to me that no matter what MLM that Nathan Ricks got involved in, it would certainly succeed.